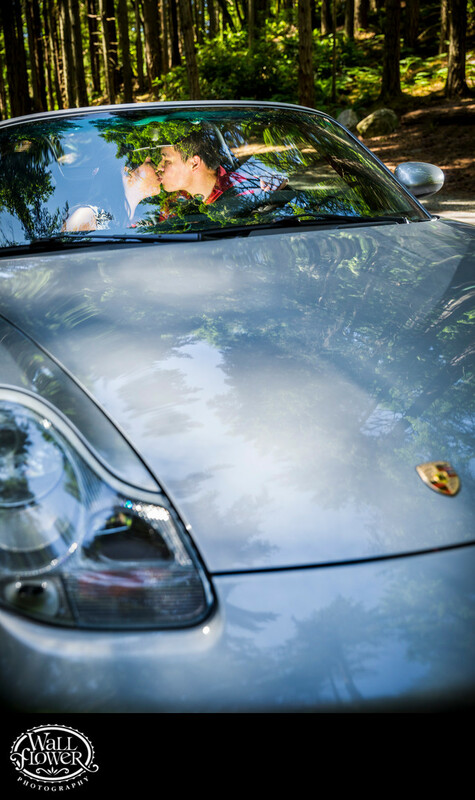 Toward the end of this couple's engagement portrait shoot at Point Defiance Park in Tacoma, we made good use of their Porsche as a prop in a series of photos, highlighted by this shot of the two kissing, seen through the car's windshield. A remote-powered flash unit hidden on the dashboard provided the lighting on their faces. The trees of Five Mile Drive are visible in the background and reflected on the car's hood.